WATERPROOF: Tested to 10 meters for 30 minutes. Magnetic self-sealing closure keeps out water, sand, rain, dirt and snow. FITS NEARLY ALL DEVICES: Fits iPhone X/8 Plus/7/6/5/4, Samsung Galaxy and other deviceswith most protective cases up to 7.5"H x 4"W x .5"D.
HOW TO USE: Keep the inner section of the magnetic seals clear of sand, dirt or other objects. Inspect the bag before each use by looking for punctures, tears and holes. We recommend testing the dry bag prior to using by adding tissue paper inside the dry bag and placing into water for a few minutes. To open, lift front 2 magnetic sections away from rear section. Separate 2 front magnetic sections and slide device into dry bag. To close, be sure magnetic seals are clear of debris and roll top 2 sections forward to secure to back magnetic section. WARNING: The success of the dry bag depends on proper closure and protection from sharp objects. We also recommend testing prior to use. Dry area around seals prior to removal of device. Magnets should not be used in close proximity to a traditional compass, pacemaker or other sensitive medical device. 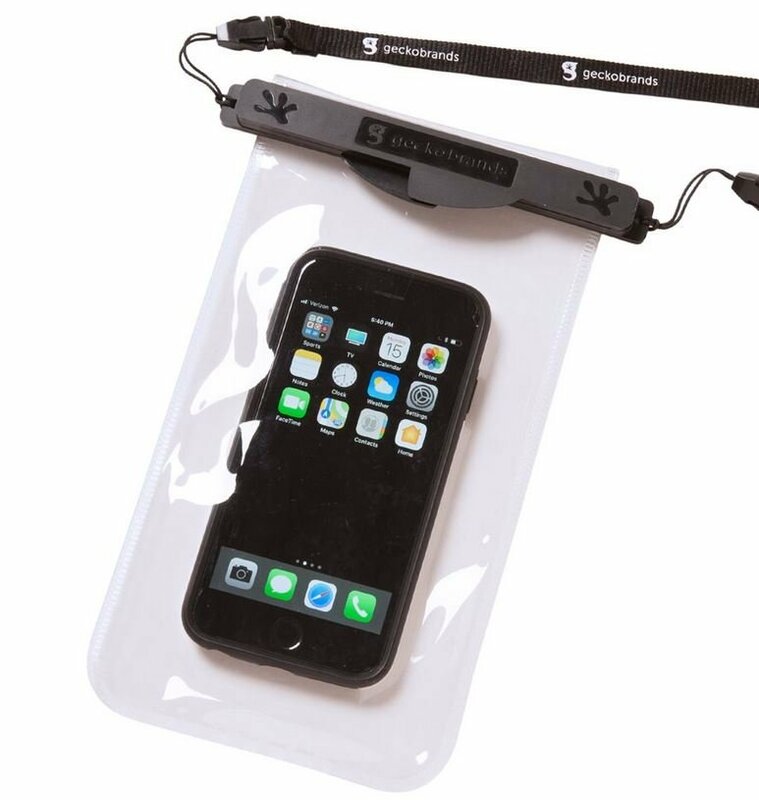 Geckobrands offers a lifetime warranty on the magnetic phone dry bag. However, geckobrands is not responsible for repair or replacement of any contents placed inside of the dry bag.